Bangla Academy announced the list of winners of its “Gunijon Sahitya Puroskar” chosen from among the publishing houses participating at the Amar Ekushey Book Fair. The awards will be handed over to the winners on the closing day of the month-long fair on February 28, said a press release of Bangla academy issued on Sunday evening. ‘Kothaprokash’ will receive the “Chittaranjan Saha Smriti Puroskar 2019,” while “Munier Chowdhury Smriti Puraskar 2019” will be given for the publication of aesthetically rich and standard content in books published in 2018. The award will be received by Prothoma publication for Bidrohi Ronoklanto by Golam Murshid, Journey Books publication for Monorothe Shilper Pathe by Moinuddin Khaled and Chandrabati Academy for Muthor Vetor Rod by Maruful Islam. The “Rokonuzzaman Khan Dadabhai Smriti Puraskar” will be awarded to the Panjaree Publication for publishing excellent books for kids while “Qayyum Chowdhury Smriti Puraskar” will be given to three publications -- Maddoma (Single Unit), Batighar (Multi-Unit) and Panjaree Publication (Pavilion) for best interior design which is aesthetically rich. 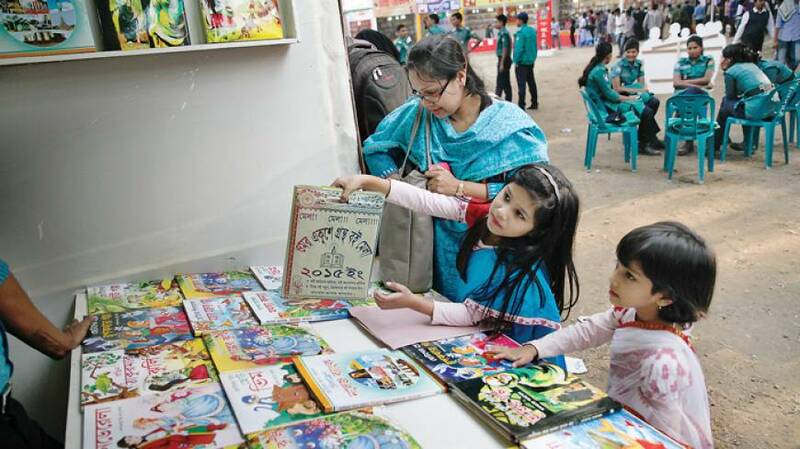 The month-long Amar Ekushey Book Fair, a yearly event for book lovers and publishers, began on February 1st at Bangla Academy premises and adjoining Suhrawardy Udyan in the city. Prime Minister Sheikh Hasina also distributed the Bangla Academy Sahitya Puroshkar-2018 at the opening ceremony. Like the previous years, the venue of the fair was extended to nearby Suhrawardy Udyan with huge changes. The authorities allotted a total of 150 units at the Bangla Academy ground to 104 organisatons and 620 at the Suhrawardy Udyan to 395 organisations. Besides, 24 pavilions have been allocated for 24 publishing houses, including Bangla Academy. The fair will remain open from 3 pm to 9 pm on the last two days.